Can you believe the Fourth of July is almost here? Time is progressing so quickly I can hardly believe it myself. And what does the upcoming holiday mean? It means you need a good Independence Day cocktail. It&apos;s all about the cookouts and cocktails! And this summer cocktail is sure to help you beat the sweltering heat in style. 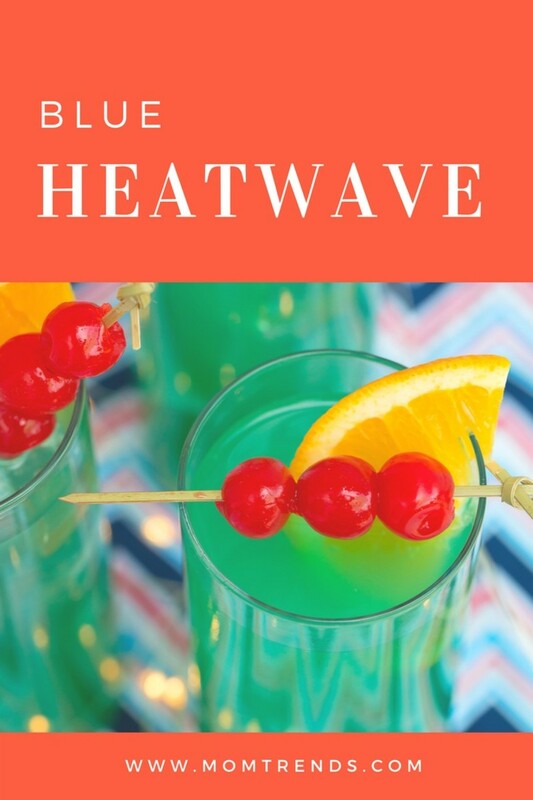 A delicious blend of tropical juices and rum, the Blue Heat Wave is divine. 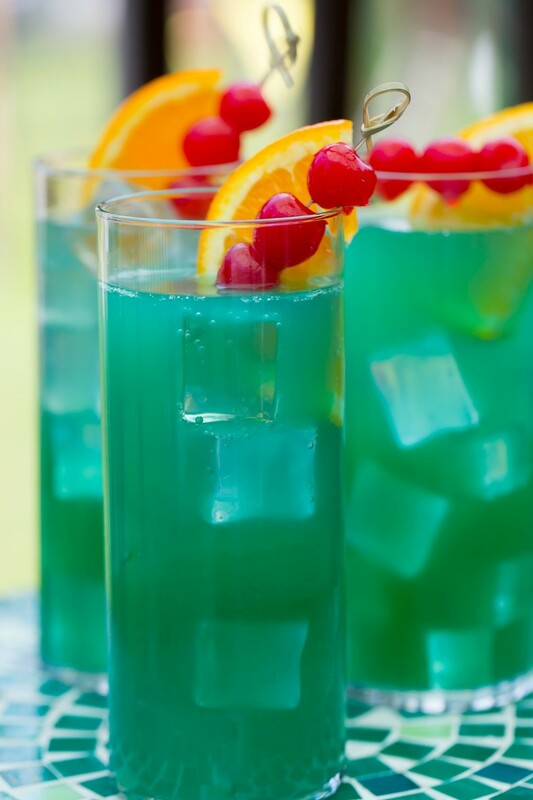 A festive twist on the original tropical cocktail, this drink has the addition of blue curacao and seltzer water. Fizzy drinks are indeed the way to my heart in the summer. The Blue Heat Wave doesn&apos;t disappoint. 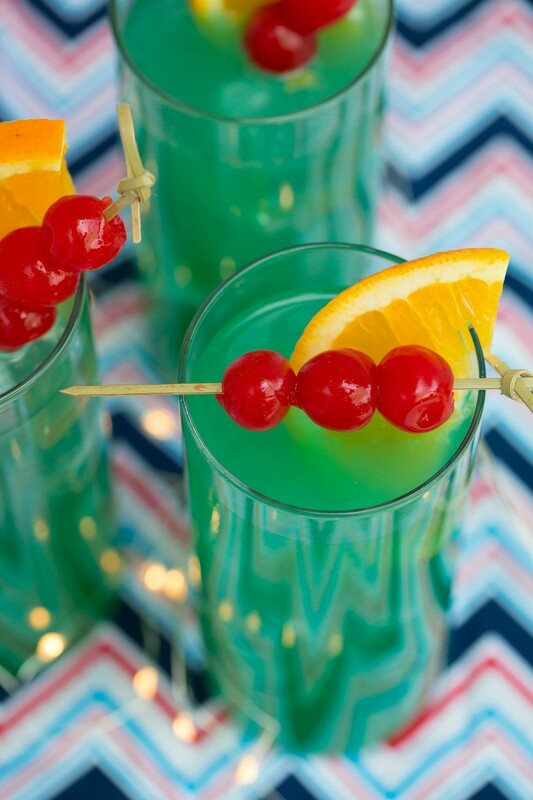 Fun and refreshing, it&apos;s the perfect cocktail for the season. The perfect Independence Day cocktail to be exact. I adore the vibrant colors of this cocktail. Do they not just scream summer time? You can make this indulgent drink with store-bought or freshly squeezed orange and pineapple juices. The fresh squeezed will create a fresher cocktail flavor, but the store-bought versions save you time and money. Reach for whichever version you prefer. 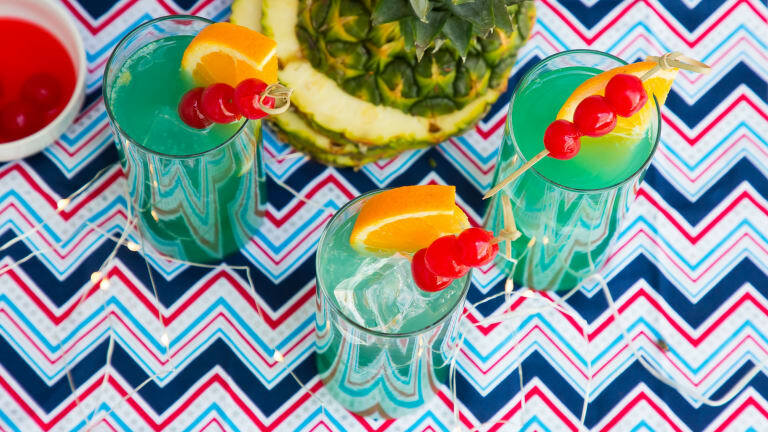 To make this fizzy bit of joy, you will need your favorite white rum, peach schnapps, blue curacao, pineapple juice, orange juice, and seltzer water. My measurements will make four cocktails. Sharing is caring, right?! In a cocktail mixer combine all the ingredients except the seltzer water. Shake well and pour into four glasses half filled with ice. Top glasses off with the seltzer water and give them a quick stir. Garnish with orange slices, cherries, or pineapple. Be sure to check out these other summer cocktails too: Watermelon Slush, Tropical Cooler, Ginger Citrus Cooler!